Ships today if you order in the next 12 hours 8 minutes. Protecting the health of your eyes is important. Your vision allows you to enjoy all the beauty that this world has to offer. 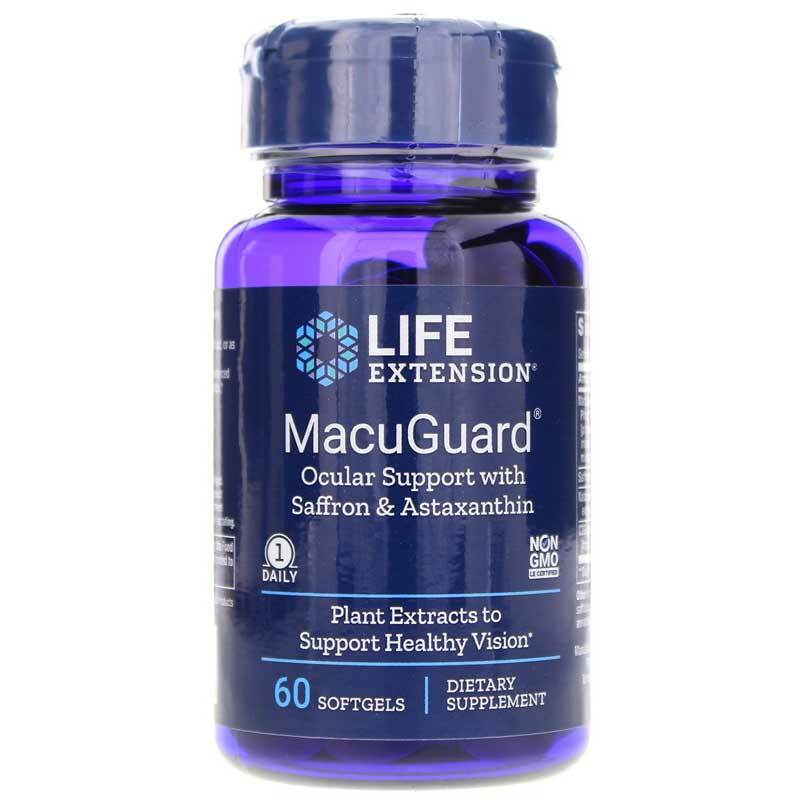 MacuGuard Ocular Support from Life Extension is a supplement that gives you two of the most important known nutrients for healthy vision and eye integrity. Lutein and zeaxanthin may be able to protect your eyes from potential damage caused by sunlight. Studies also suggest high levels of these nutrients may help people see better in low light. 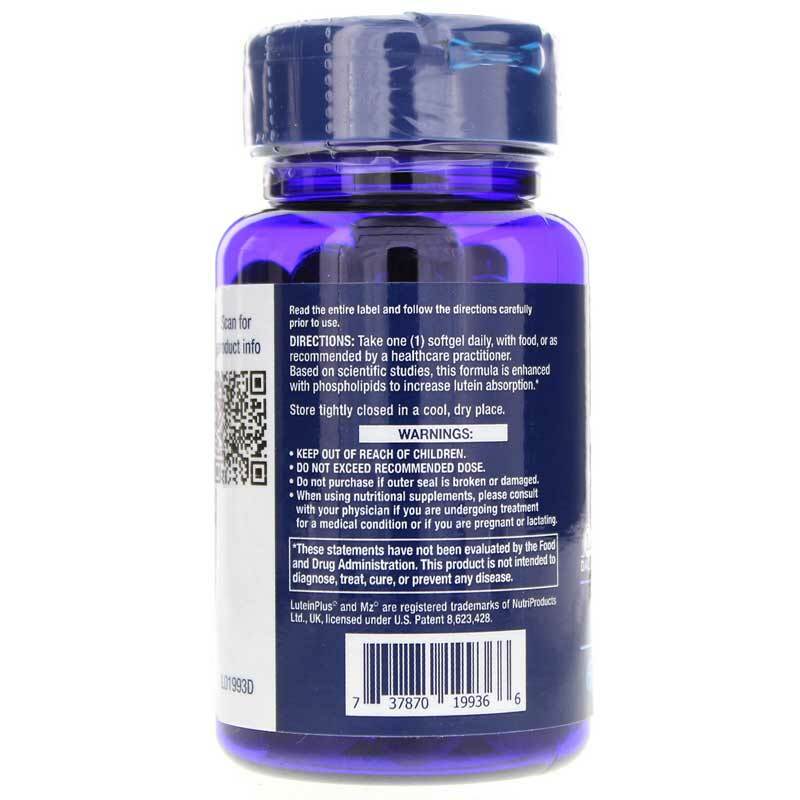 But this formula doesn't stop there - it also includes other important components that support the way your body uses lutein and zeaxanthin. When you eat vegetables with carotenoids, like lutein, the nutrients may be more easily absorbed when eaten with a high-fat meal. That's why MacuGuard Ocular Support also includes phospholipids, which help your body absorb lutein into the bloodstream. Phospholipids could improve circulation and accumulation of lutein in your retinas. 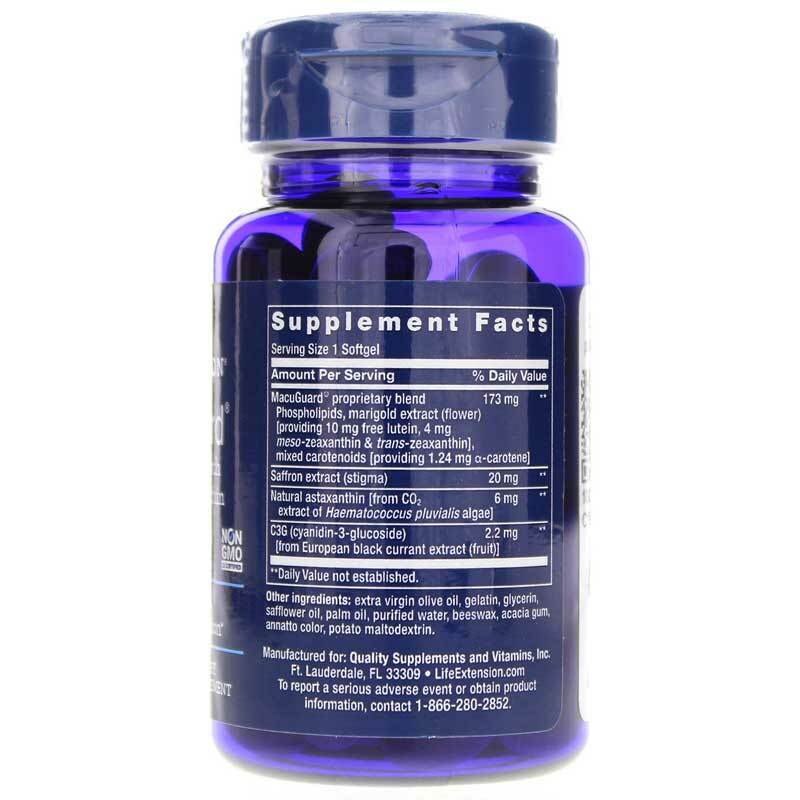 This formula also contains astaxanthin, which works alongside carotenoids. It may be able to help you avoid free radical damage while potentially protecting your eyes from fatigue. Put this all-natural weapon in your arsenal to promote and protect the health of your eyes. It's easy to see why MacuGuard Ocular Support with Astaxanthin from Life Extension is an excellent choice. Other Ingredients: extra virgin olive oil, gelatin, glycerin, safflower oil, palm oil, purified water, beeswax, cellulose, annatto color, potato maltodextrin. Non-GMO. Avoid use during pregnancy. KEEP OUT OF REACH OF CHILDREN. DO NOT EXCEED RECOMMENDED DOSE. Do not purchase if outer seal is broken or damaged. When using nutritional supplements, please consult with your physician if you are undergoing treatment for a medical condition or if you are pregnant or lactating.